Enthusiasm for the people, places, and events of Buckingham County just keeps expanding. Its history never grows old, always waiting patiently for a new generation to discover. A few readers of Slate River Ramblings have already ordered multiple copies of “At a Place Called Buckingham” to give as gifts this holiday season. What a great idea! Thank you! 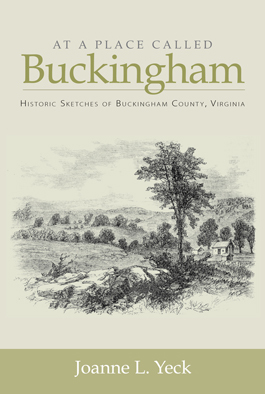 If you are in Buckingham County, copies are available at Historic Buckingham, signed by the author. If you are in Albemarle County, copies are available at Albemarle Charlottesville Historical Society.